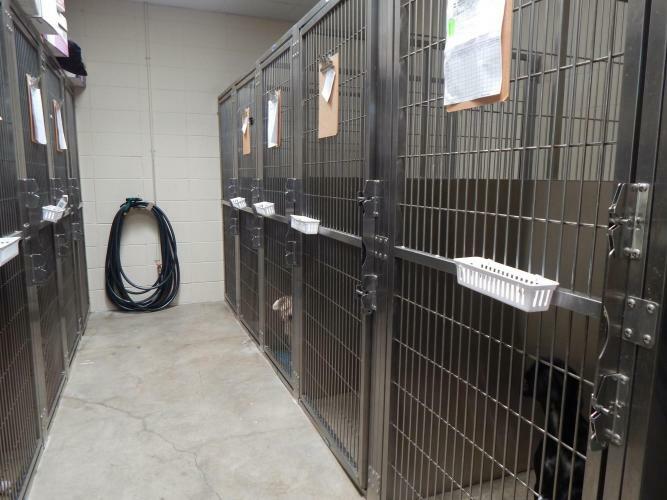 Our newly remodeled facility offers spacious boarding for your pets. Our goal is to give your pet a home away from home during their stay with us. Daily care instructions are required at time of drop off so that your pet is given the same care as they get at home. Our boarding services provide a large private run for dogs or condos for cats. We provide blankets, food, water, walks and playtime with our staff. Our private cat room is a comfortable and quiet area for your cat away from the loud noises of the hospital. The specialized condos are adjustable allowing cats to move up, down and through the cages as they please. Each condo provides two separate areas for your cat so that they have an area to sleep and play and another area for their litter box. Pets on medications or require special care have the added bonus of having a doctor to monitor their care during their stay.